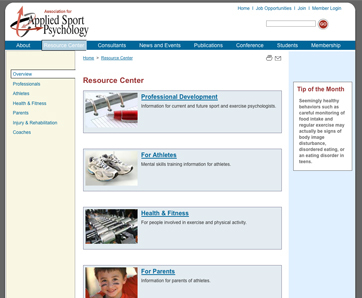 The Association for Applied Sport Psychology needed a website redesign with a complete overhaul of information architecture, as well as a customized content management system with member database. 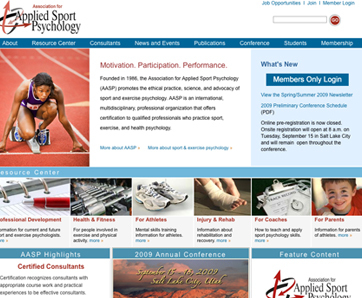 The new site has greatly improved AASP’s professional identity and capacity to publish and manage content. The site also provides a number of new educational resources for the public, as well as value-added advantages for AASP members.